Living… in Los Angeles, in his house, alone. After just being dumped, he believes he will be alone forever. That is, until a kitten shows up at his front door, with whom he immediately falls in love and names Keanu. Profession… photographer. Rell takes pictures of his cat, Keanu, in various scenes from famous movies for a calendar. 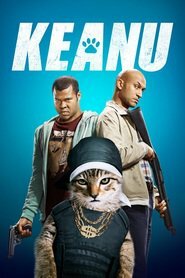 Interest… photography, marijuana, and his kitten, Keanu. When he’s not taking pictures of his kitten, Rell is usually smoking quite a bit of weed. He even lives next door to his dealer. Relationship Status… single. Well was just dumped by his girlfriend, and is not taking it well. That is, until he falls in love with Keanu. But Keanu has a lots of people want Keanu because of how cute he is, which may become a problem for Rell. Personality… laid-back, innocent, and sensitive. Rell is devastated when his girlfriend leaves him, and has a soft spot for his adorable kitten. Rell is more laid-back than his high-strung cousin Clarence, but still is extremely out of place amongst the fast and dangerous drug dealers from the 17th street Blips. Rell Williams's popularity ranking on CharacTour is #4558 out of 5,000+ characters. See our top-ranked characters and read their profiles.